How Much Money Are You Losing Due to Bad Reviews? We all know how important good reviews are for a business, but do you really know how much those little stars are impacting your bottom line? When it comes to online marketing for your business, where are you spending your efforts – search engine optimization, content creation, social media, AdWords? Spending money on internet marketing, but not sure how well you’re doing? Would you like to know exactly where you stand in terms of online reputation, business listing accuracy, website performance, and search engine optimization? We can help! Let us provide you with a free, no obligation analysis. Click the button below. 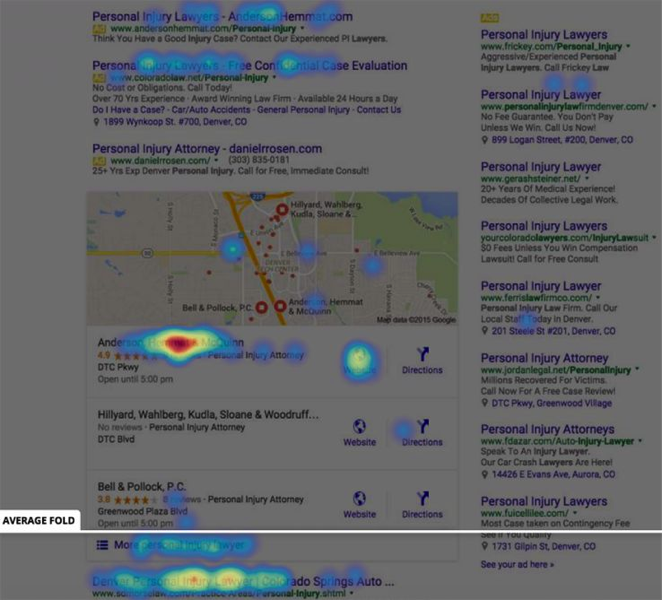 With our growing reliance on search engines to help us decide where to eat, what hotel to book, or which auto body shop to call when we’re involved in an accident, we look to reviews to help guide us and influence our decision. If you’ve seen the numbers recently, anywhere from 75% to 95% of consumers read online reviews before making a purchase, and most of those consumers trust reviews as much as they would a referral from a friend. In 2011, Harvard Business School studied the impact of star ratings on revenue. Their findings showed that for every 1 star a business was lacking on their Yelp listing, they were losing up to 9% of revenue. How does that add up? Say you own a 3-star rated auto body shop that generates 3 million in revenue each year. Studies say you could be missing out on $540,000 annually because of that 2-star deficit. Whether a client found you through a Google Search for your products, a branded search for your company, or a local search for your services, coming to a page with a 3-star rated company gives consumers reservations about choosing your company, sending them to your competitors who have higher ratings. A recent study by Moz tracked user engagement with local listings that had good, decent, and no reviews. The company with the highest review score got the most clicks at a 4.9 rating, and consumers clicked through directly to the company’s website. The second listing has no reviews and received hardly any clicks. Although the third listing was only 1.1 stars less than the first listing, it seemed to get very little action, and the clicks it did receive were to view the reviews. We were surprised that a slightly lower rating, or the lack of reviews, caused that much less traffic. But their next test yielded even more interesting findings. Moz conducted 3 different tests to analyze how consumers conducted a search to ultimately find out why they decided on the company they chose. In one of the tests, Todd did a search for “Bail Bondsmen in Colorado Springs CO” on Google. He had heard of the company listed in the #2 position of the map pack but ultimately decided on the company listed at #1. Todd’s reasoning for choosing the competitor of the company he knew was (1) they were at the top of the list, and (2) they had a better rating – 4.9 stars vs. 4.3 stars. We were surprised at the findings. Just .6 of a star and a one spot difference in rankings sent this business’s clientele to their competitors. What does this say about the rest of the consumers out there who know your company, but have maybe seen some unfavorable reviews? Consumers look to reviews sites like Google, Yelp, and Manta to gauge which restaurant, store, or business is going to deliver the best products and services. According to Google, 65% of smartphone users agree that when conducting a search on their smartphones, they look for the most relevant information regardless of the company providing the information. The same goes for products and services. Why go with a 3.2-star company when you can go with a 4.8-star company? There’s good news! Many of us are guilty of ignoring the importance of reviews, letting the good and bad reviews lazily roll in. A good star rating starts with proactive review generation, and we can help! When you aren’t actively pursuing reviews, you will likely have the occasional run-in with the active reviewer who had a great experience with your business and the pessimistic consumer who has a habit of leaving bad reviews. Whether they had a bad experience or they just like to stir up trouble, there is a way to take care of those situations that won’t impact your online reputation. There are a couple ways you can do this. We use an email automation platform that actively requests reviews for you. We upload an excel spreadsheet of emails each day, week, or month and once users get the email request, they can leave a review for your business on a landing page customized with your branding. On this page, a filter will notify our clients when a customer leaves an unfavorable review and will encourage positive reviewers to leave their good review on the review site of your choice. We’ve found this is a pretty seamless way to do it. There’s also the option to have your employees talk directly with customers about leaving a review. This way your employees can gauge which customers are likely to leave a positive review and send them an email with a link to Google My Business, Yelp, or an industry-related review site like Consumer Reports or Angie’s List. We have found that with so many other things on the To-Do list, review generation can fall by the wayside, so we offer a free consultation on review generation if you’re interested in how it works. By actively requesting reviews, you can increase the number of reviews your company receives and designate where those reviews are being left. Where users are leaving reviews is important for impact on search engine ranking. 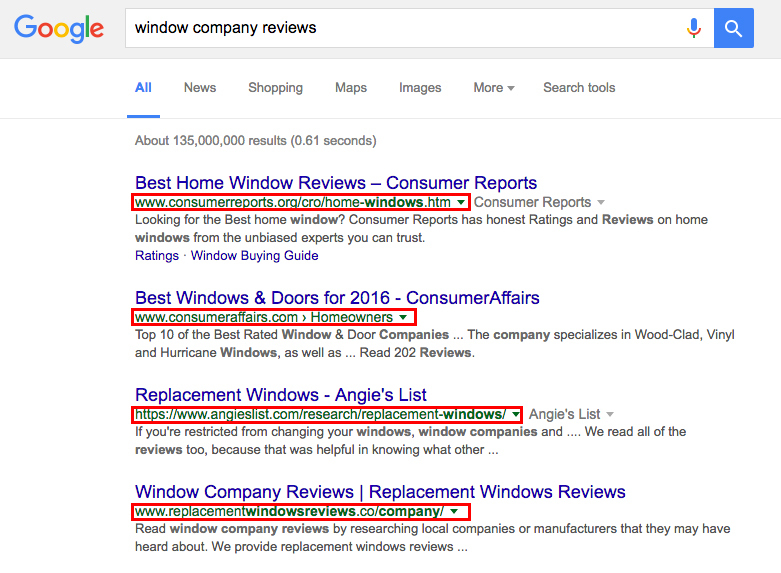 For example, say a consumer pulls up Google to perform a search for a local window contractor, but they want to check out some reviews first. They’re going to do a search for “window company reviews”. Those listing and review sites are where you want to be listed with reviews to give your company authenticity. You can send out emails to customers requesting reviews, but with AP Digital you can ensure those reviews are going to be positive with the extra security of our review filter. Replying to reviews is a great way of showing happy and unhappy customers that you care and are willing to put the customer’s needs first, earning you potential customers who will see those reviews and take into consideration your responses. Yelp has a great video where they talk to business owners who give advice on responding to reviews. 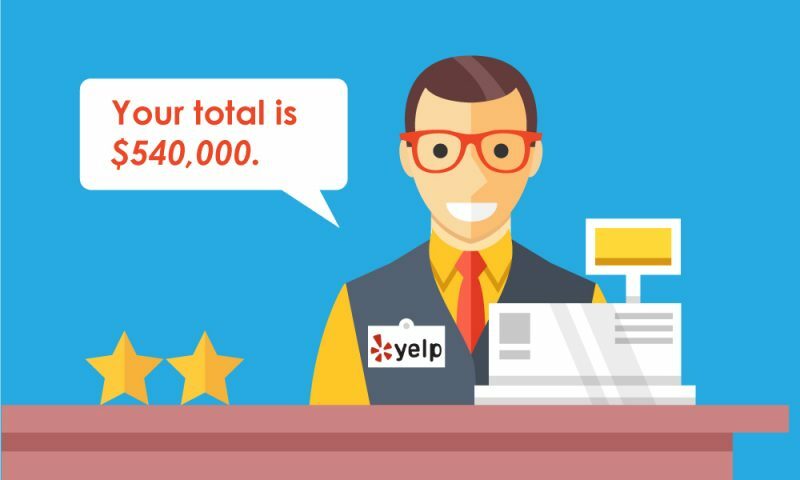 With over 167 million average monthly unique visitors and more than 102 million reviews, Yelp has a good understanding of what works for businesses and how reviews and responses impact consumers perception of a company. Whether they have heard of your company or not, it’s been proven that consumers doing their research are most likely to choose a shop with the best reviews. Make review generation a priority for your business. Get started with a free analysis of your local SEO from AP Digital today!